Today I present you a very special one! 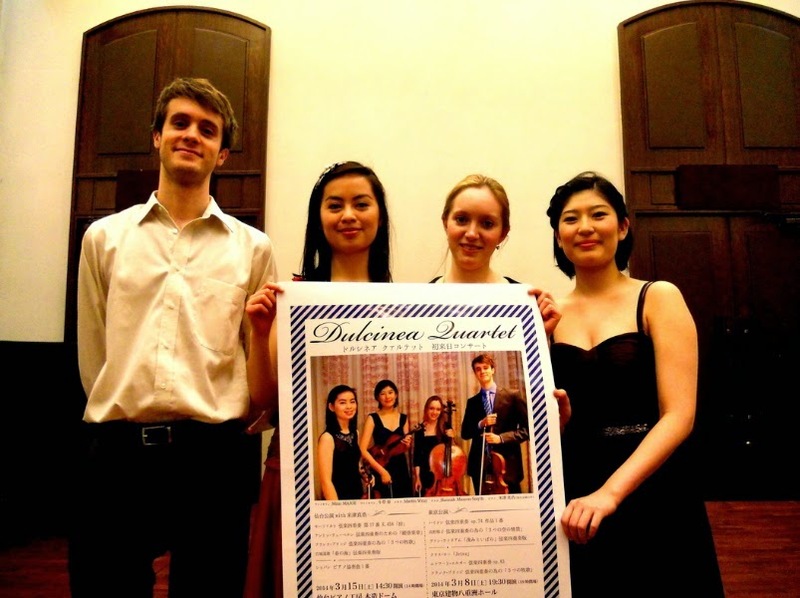 Formed in 2008 at the Royal Academy of Music in London, and joined in 2011 by cellist Hannah Masson-Smyth, followed by violist Martin Wray in 2012, the Dulcinea Quartet has recently brought their music to Japan! 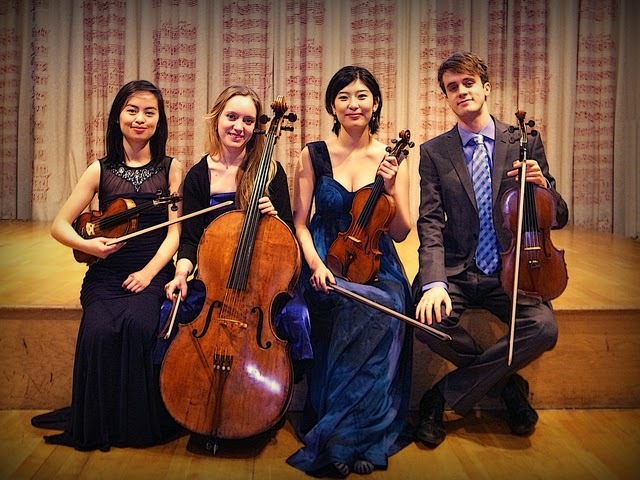 With the goal of performing music from both Japan and the U.K in Japanese schools and hospitals, the Dulcinea Quartet has recently spent time giving concerts in parts of the country where western musicians don’t often travel to. 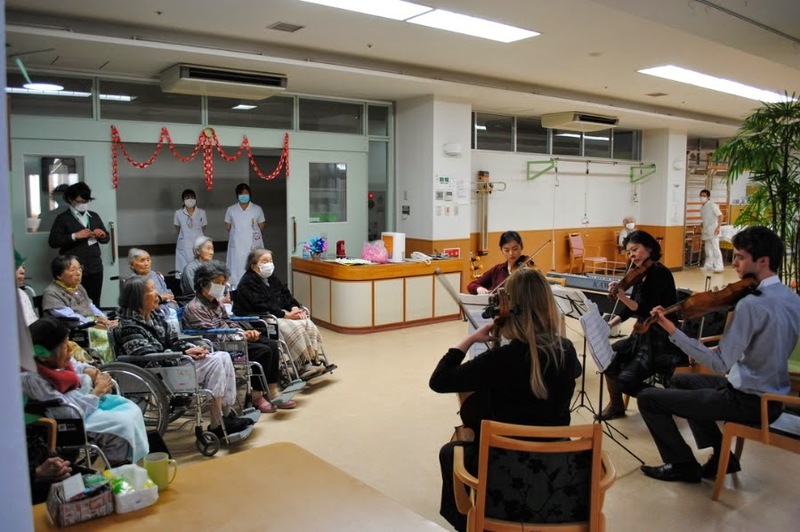 From countryside train stations and city offices in Ibaraki prefecture, to elderly hospital patients and kindergarten children in a temple in Sendai, they have commissioned new music especially for the project from Japan and the U.K and, as a result, were able to form successful and long-lasting cultural ties between the two nations and bring music to those who would have otherwise been unable to attend a concert of any kind. 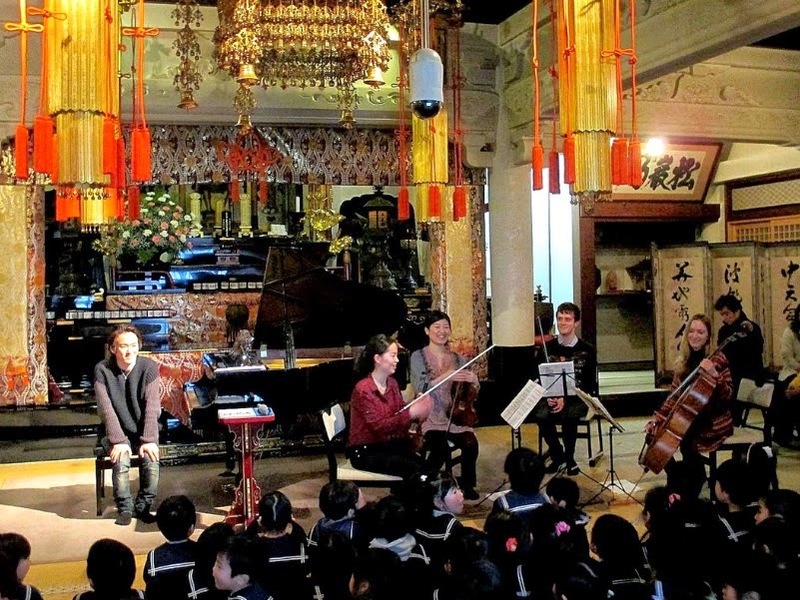 Have a look at some photos from their 2014 Japan Tour! 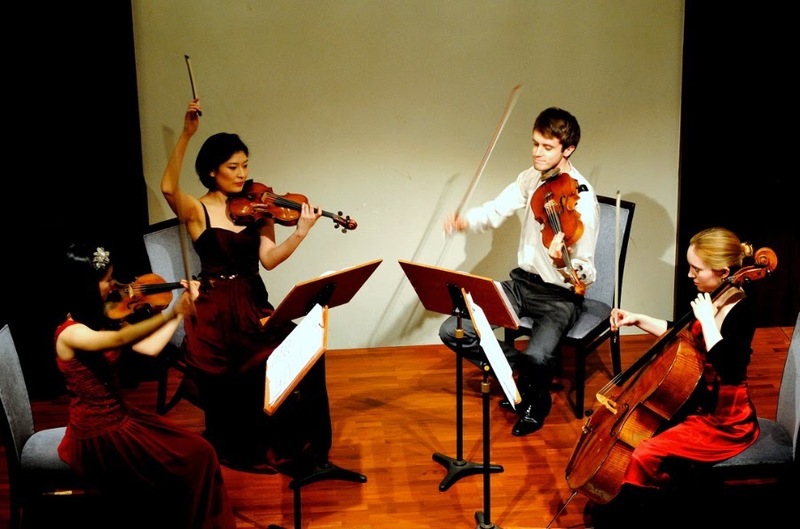 Individually the members have worked in orchestras all over the U.K including the London Philharmonic Orchestra, London Symphony Orchestra, BBC Orchestras, Royal Philharmonic Orchestra, and the Royal Liverpool Philharmonic Orchestra. 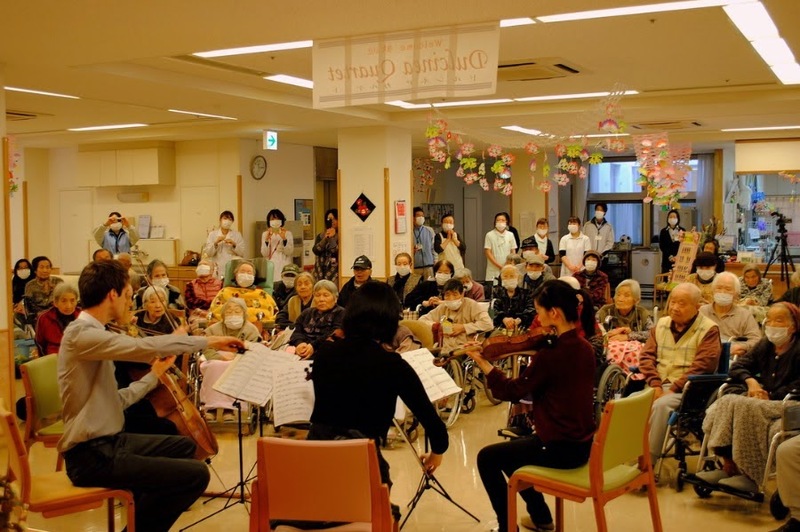 Due to the success of the project, they have been invited to come to Japan again to continue giving similar concerts, and to do so, they are doing a fundraising campaign to make the next tour possible! You can back this project with a simple £1 minimum pledge, and they will be most thankful for your support! And so will the Japanese public! Click here to give your support! Also, enjoy a piece from one of their concerts in Japan, as well as an audio track from their official website! Have a look at who I found the other day at the supermarket!